We take pride in our work and want you to be happy with the results. If you have any questions or concerns, please contact us as soon as possible and we will do what we can to help resolve your concerns. National Landscaping and Lawn Maintenance prides themselves on their craftsmanship, quality and attention to detail that they provide to each and every job no matter how big or small. 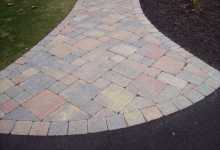 National Landscaping is a family owned and operated company that provides landscaping, lawn maintenance, retaining walls, paver walks, patios, irrigation systems, landscape design, fertilization programs, hydroseeding and snow removal services to residential and commercial properties throughout the Saratoga, Clifton Park, Glens Falls, Albany areas. Our commitment to detail is seen in each and every job that is performed. We provide competitive and fair pricing to ensure the quality job that you and your family are looking for.